This property is located just a short walk from the centre of the historic town of Sturminster Newton. The celebrated author Thomas Hardy made Sturminster Newton his home and the area around the town features in several of his novels. It is easy to see why the novelist fell in love with this town with its picturesque water mill handsome arched bridge and beautiful surrounding countryside. The River Stour which runs through the town is a great place for keen fishermen as well as those who leisurely walks in attractive surroundings . Further afield yet still within easy reach the town of Shaftesbury is a wonderfully quaint place to spend an afternoon and visitors will recognise its famous Gold Hill from the long-running Hovis adverts. 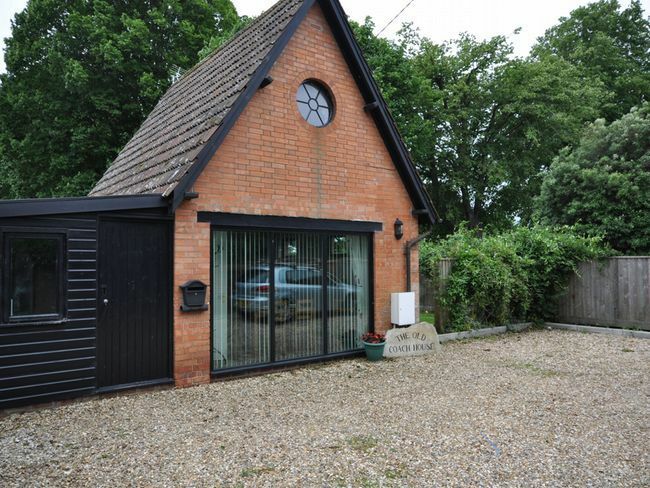 This detached property makes a lovely romantic retreat for a couple looking to escape the stresses of daily life. Upon arrival guests can immediately make themselves at home in the lounge/diner which not only has comfortable seating but also has large floor-to-ceiling windows which flood the room with light and a TV/DVD. Passing the dining table and moving through to the kitchen guests will easily be able to find everything they need including an oven hob microwave fridge with ice compartment and washing machine. The bathroom is also located on the ground floor and offers a shower-over-bath and WC. Stairs lead from the lounge up to the first floor in the eaves of the property. The super-king-size bed dominates this cosy space which has sloping ceilings a storage chest and two circular windows at either end of the room. Guests should take care here as there is some reduced head-height in this room. Outside there is a pleasant patio with a table and chairs which is accessed from the patio door in the lounge. Beyond this area the garden gives way to a spacious lawn with plenty of space to relax and enjoy the sun or perhaps sit outside with evening drinks or an alfresco meal. There is ample-off road parking.